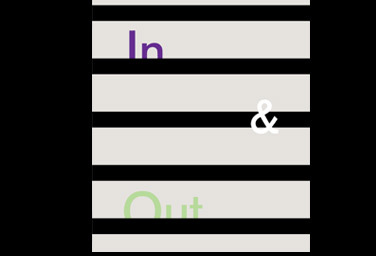 In & Out features the writing of poet Fanny Howe and SX-70 Polaroids made by Robert Gardner during the filming of Ika Hands in 1981. 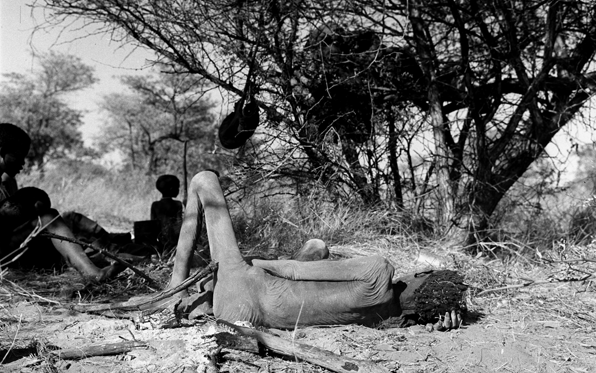 Gardner shot a series of 87 images (one every twenty seconds) from a fixed position that captured the activity in the doorway of an Ika dwelling. In 2009, the images were given to Fanny Howe, who shuffled them, and wrote a short poem that weaves the images together in a new way. 34 pages, unfolded jacket size is 40″ x 12″, folded size is 9 1/2″ x 12″. The inside of the book jacket displays a grid of all 87 images in chronological order and selected images are reproduced full size in the book itself. First edition of 250 signed and numbered copies. Designed by Fogelson-Lubliner, printed November 2009 by Meridian Press. Fanny Howe is a recipient of the Ruth Lilly Poetry Prize (2009), theGriffin Poetry Prize (2005), and the Lenore Marshall and Poetry Prize (2001). This book presents selected writings by Robert Gardner. There are journals he wrote during stays in different parts of the world, observing and reacting to diverse ways of life, traditional and modern. There are his accounts of film projects envisioned and planned but not completed. There are essays, more formal and systematic than the journals, on ways of life in pre-modern cultures that Gardner has observed first hand. We also read his voiceover narrations from the films Dead Birds (1961) and Rivers of Sand (1975), which come to life in a new way on the page. And in an interview, letters, and articles, Gardner addresses the subject of filmmaking—his own and that of others—and reflects on film’s relation to anthropology and, more broadly, to the very project of human beings to understand reality. The material here, most all of it previously unpublished, is presented in three sections. In Parts I and II we see Gardner in the practice of just representation, or aiming at it. In Part III we see him talking about just representation, the concerns and the issues of it, specifically in his own filmmaking work and to some extent in that of others. He talks about filmmaking, not writing—but the writings of Parts I and II cannot be disentangled from filmmaking. There is the same sensibility and drive to expression at work. And as Gardner’s brief introductions to each piece make clear, the writings come out of filmmaking situations, out of preparation for or work on various filmmaking projects. The writings extend what the filmmaking does, complete what the filmmaking does not complete, take byways from the filmmaking and make new discoveries—and, of course, feed back into the filmmaking. The writing and filmmaking complete each other. Gardner is fascinating to read. He puts himself into difficult and telling situations, goes where most of us want to go, at least mentally, and gives account with his eye for important detail and, always, his penchant for evaluating the motives that drive people and the forces that bear down on them, as they live their lives and create what they create. Gardner holds a unique place in our culture. 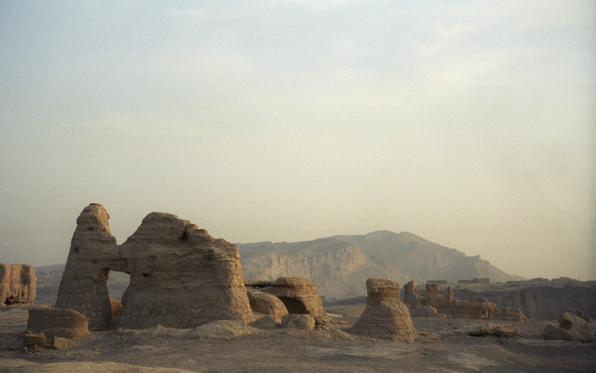 He stands for a certain humanistic anthropology, in filmmaking and in writing. I can search myself, he seems to say, and find what binds me to another and what thus can give insight into another—we are of a kind, after all, and participate in a general nature. 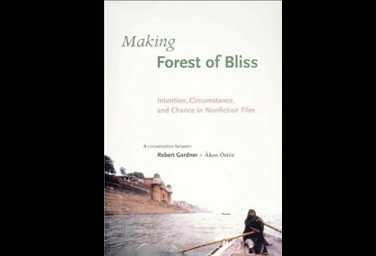 This self-search and making of connection realizes itself in the techniques and expressive means of the films, and in Gardner’s distinctive way with words in the journals, reflections, and self-reflections making up this book. 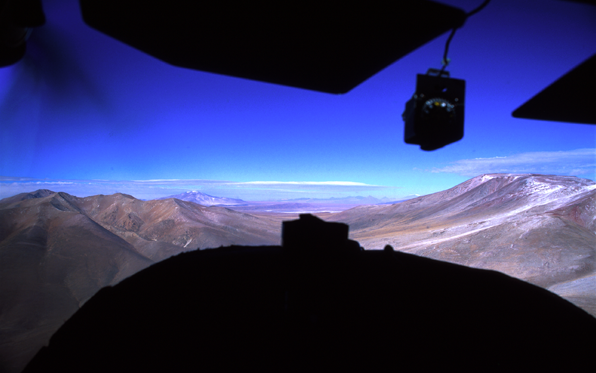 aerial landscape by Robert Fulton, Chile 1999.
possible location for WAITING FOR THE BARBARIANS, W. China 1995. 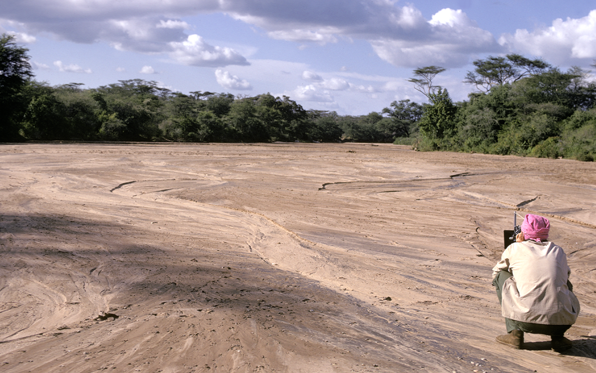 Robert Gardner and a river of sand, Ethiopia 1971.
a Borroro maiden's choice, Niger 1978. 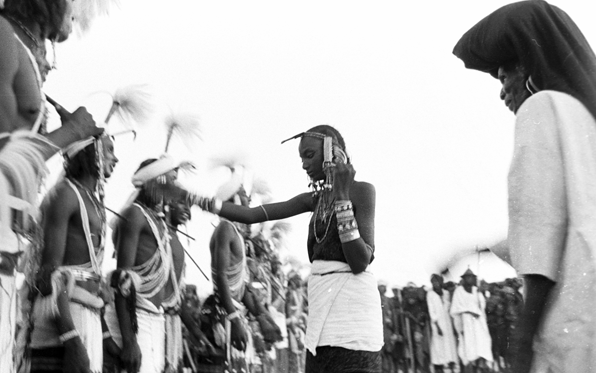 Ákos Östör and Robert Gardner, Benares 1985.
the old lady, Namibia 1958. 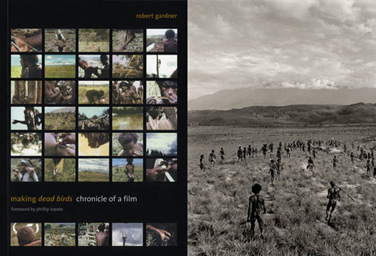 Robert Gardner’s classic Dead Birds is one of the most highly acclaimed and controversial documentary films ever made. 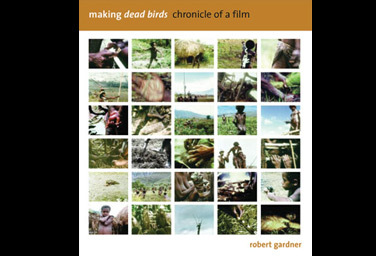 This detailed and candid account of the process of making Dead Birds, from the birth of the idea through filming in New Guinea to editing and releasing the finished film, is more than the chronicle of a single work. It is also a thoughtful examination of what it meant to record the moving and violent rituals of warrior-farmers in the New Guinea highlands and to present to the world a graphic story of their behavior as a window onto our own. Letters, journals, telegrams, newspaper clippings, and over 50 images are assembled to recreate a vivid chronology of events.Making Dead Birds not only addresses the art and practice of filmmaking, but also explores issues of representation and the discovery of meaning in human lives. Gardner led a remarkable cast of participants on the 1961 expedition. All brought back extraordinary bodies of work. Probably most influential of all was Dead Birds, which marked a sea change in nonfiction filmmaking. This book takes the reader inside the creative process of making that landmark film and offers a revealing look into the heart and mind of one of the great filmmakers of our time. First edition, first printing. Limited edition of 100 copies, with an archival inkjet print of Gardner’s 1961 photograph “Ritual War II,” signed and numbered in pencil on the lower margin by Gardner. The print, which was produced by Steven Stinehour, measures 10 x 10 inches on 11 x 11-inch Hahnemeule rag paper and is contained in a numbered white paper sleeve, a photographically illustrated and numbered card-stock sleeve and an additional clear vinyl envelope. The book is signed and numbered in black ink on the final page by Gardner. Soft black cover, no dust jacket as issued. 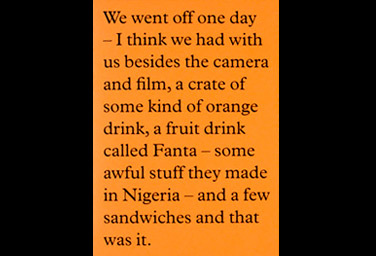 In 1967 Robert Gardner met and traveled with a Nigerian gentleman, Umaru Dikko, to Northern Nigeria. Dikko recorded sound and translated during this relatively short trip, during which the ritual beating Sharo was documented, and many years later he was involved in a most bizarre series of events. This little zine, published by The Holster, contains this story as told to Michael Hutcherson by Gardner. “The Story of Umaru Dikko” was created as part of the second installment of Demand & Supply, a print-on-demand project first initiated for the NYC Zine Fest, and expanded upon for the NY Art Book Fairheld October 2-4, 2009 at P.S.1. 12 pages, 5 x 7 1/2, saddle stitched. Limited edition of 50 numbered copies, printed on demand by The Holster. This is the first volume of essays dedicated to Gardner’s work—a corpus of aesthetically arresting films which includes the classic Dead Birds, Rivers of Sand, and Forest of Bliss. 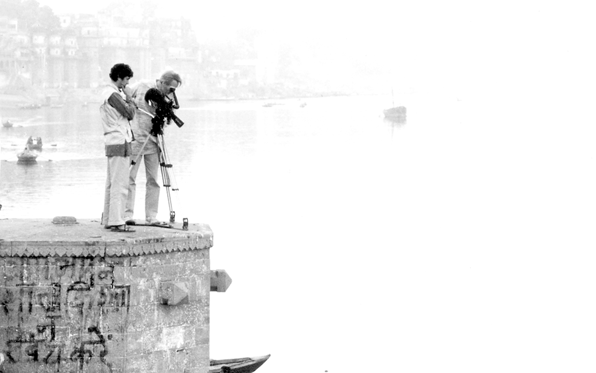 Eminent anthropologists, philosophers, film theorists, and fellow artists assess the innovations of his films as well as the controversies they’ve spawned. This book came about through a collaboration between Tom Cooper, once a student of Robert Gardner’s at Harvard, and Samina Quraeshi, a designer and writer with far flung interests in the arts. It was intended as a sort of primer for Gardner’s film work, picking up where a number of reviews and critical essays left off. Tom Cooper is a professor of film at Emerson College and takes particular interest in the relation between Media and Ethics. Harry Tomicek became absorbed in Cinema as a writer and thinker about metaphysical issues in art. He has been a frequent contributor to important periodicals concerning the philosophy of art and in film reviews in important newspapers and magazines. 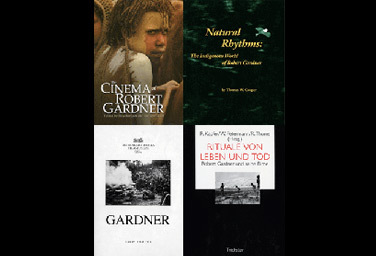 His book Gardner was written during the Österreichisches Museum of Vienna’s retrospective of Robert Gardner’s films. It has been said to have made interesting and complex observations on the actuality film particularly in regard to large human matters such as warfare. It is this issue which caught his attention early in his writing when he saw Dead Birds for the first time. Trickster Verlag in Munich has been known as a source of some interesting books about film, especially documentary film. This book collects a few articles on Gardner’s films and fits them under the theme of ritual, a dimension of life (and death) that has particularly interested Gardner. With the exception of Jay Ruby who manages to bare his teeth in a particularly vicious manner, the book served well as an accompaniment to a retrospective of Gardner’s work in Freiburg Germany.